A Great Place for a Celebration! With a full functioning kitchen, living room overlooking our beautiful pond, great room with tables and chairs and a game room upstairs, the Strawberry Clubhouse makes for a successful party. 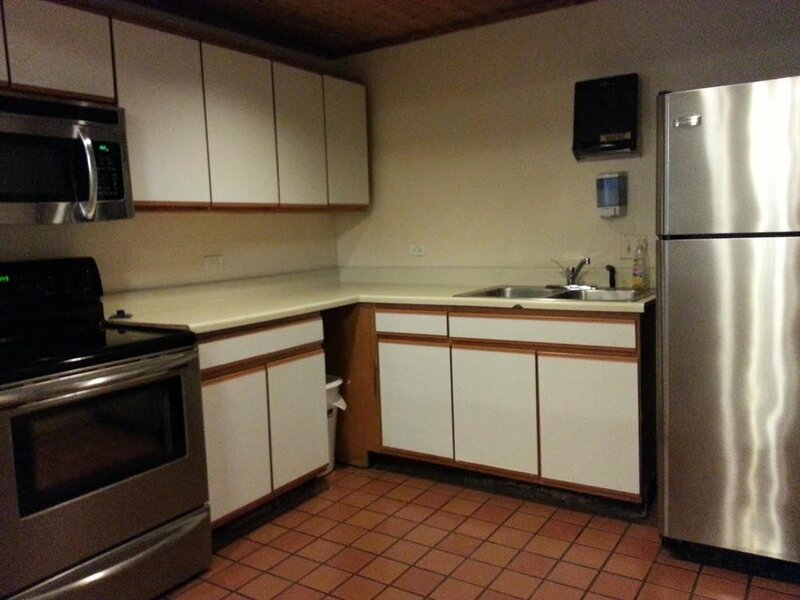 Rental is for residents only and is $75.00 with a $300 security deposit. The clubhouse is to be used by Strawberry residents and their guests for private parties. You may not rent the clubhouse for your friends to use – YOU MUST BE PRESENT AND IN CHARGE. Use of the pool is not included in the rental. There is a $75.00 (check or money order) rental fee (this is required at the time of the reservation, and forfeited if cancelled less than 30 days prior to reserved date) plus a $300.00 (check or money order) security deposit, which is due the day of the party. The security deposit will be refunded provided the clubhouse and surrounding areas are clean and there is no damage to any of the furniture (including the pool table) and that there were no disturbances or complaints (you forfeit entire deposit and the privilege of using the club house again if police are called or if there are any complaints or disturbances). Parties are limited to 75 people. All guests must park in Guest spaces. The fire zone may be used for loading and unloading only. ANY CAR PARKED IN A RESIDENT SPOT CAN BE TOWED WITHOUT WARNING. Vehicles may not be driven on the grass or walkways. Any violation can result in an additional $300.00 fine. The selling of tickets (cover charge), food and alcohol is absolutely forbidden. The party may not be advertised in public by any means (fliers, ads etc.). Any violation will result in the immediate shutdown/cancellation of the party and the forfeiture of the security deposit and you will lose the privilege to rent the clubhouse in the future. All music is to be kept at a reasonable volume. All music will be turned off at 11:30PM and all guests off the premises by 12:00 (Midnight). The clubhouse must be restored to the way it was found and all trash must be removed and placed in a dumpster, the parking lots and surrounding areas must be checked and any trash picked up and all signs and balloons that have been placed outside must be removed. This must be done by 10:00AM the next day, if this is not done a minimum of $100.00 of the deposit will not be returned. Any damage done to the ceiling fans by balloons will be the responsibility of the person having the party. The cost to repair any damage done to the clubhouse or the furniture, including the pool table will be the sole responsibility of the person having the party. Also the pool table is not to be moved and if it is there will be a $200.00 fine. Remember that the clubhouse is located in a residential area and that anything you and your guests do will affect people in the units near the clubhouse. You are responsible for your guests’ conduct and behavior.